Matthew Laing was the winner of the Scarlet’s Fund residency award as part of Flinders Quartet’s 2017 Composer Development Program. Impressed by his unique and engaging concept of sound and gift of musical architecture, the quartet asked Matthew to choose which works best pair with his compositional voice. He chose to have his work programmed with Schumann’s String Quartet No.3 and Haydn’s String Quartet Op.64 No.3; shining a new perspective on these enduring works of the repertoire and using it to place his own work into an historical context. 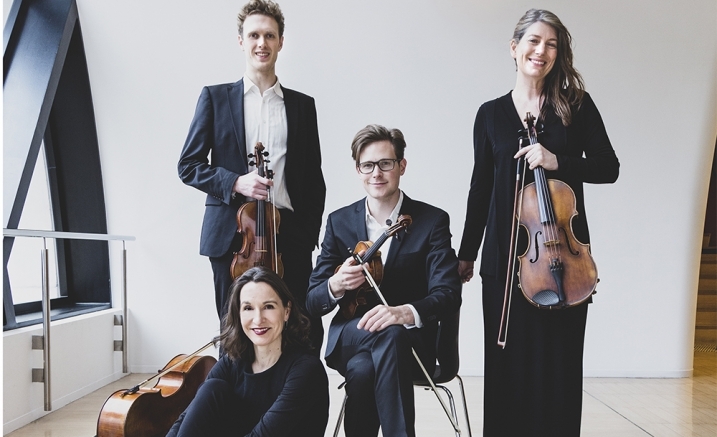 Flinders Quartet is instantly recognisable as one as Australia’s most loved chamber music ensembles. A quartet for the twenty-first century, their dynamic and stirring performances of a full spectrum of repertoire have audiences and critics articulating their esteem. Purchase the Flinders Quartet Montsalvat package and save!